Former British FM blamed ‘unlimited’ Jewish, Zionist funds for conflict. Former MK: He forgot Jewish control of the media. 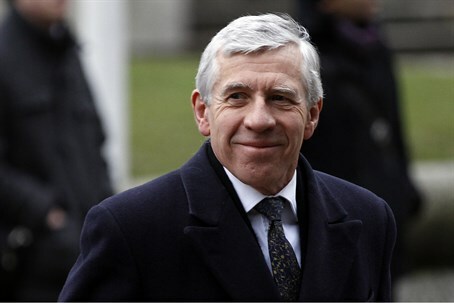 Former British Foreign Secretary Jack Straw has reportedly blamed Jewish groups with “unlimited” funds for the Israeli-Arab conflict. “I nearly fell off my rickety British chair today when former UK Foreign Secretary Jack Straw spoke at the Round Table Global Diplomatic Forum in the British House of Commons. Listing the greatest obstacles to peace, he said "unlimited" funds available to Jewish organizations and AIPAC in the US are used to control and divert American policy in the region,” former Member of Knesset Einat Wilf reported on her Facebook page. Straw has a history of offending Israeli leaders with his remarks on the Israeli-Arab conflict. In 2003, he angered the Foreign Ministry by comparing Israel to Saddam Hussein’s Iraq. In 2006, he said the world should be as concerned with disabling Israel’s nuclear capabilities, as it is with Iran’s nuclear program. Under Straw, Britain’s foreign ministry considered maintaining diplomatic ties with members of Hamas, a terrorist group which openly states that its goal is Israel’s destruction.